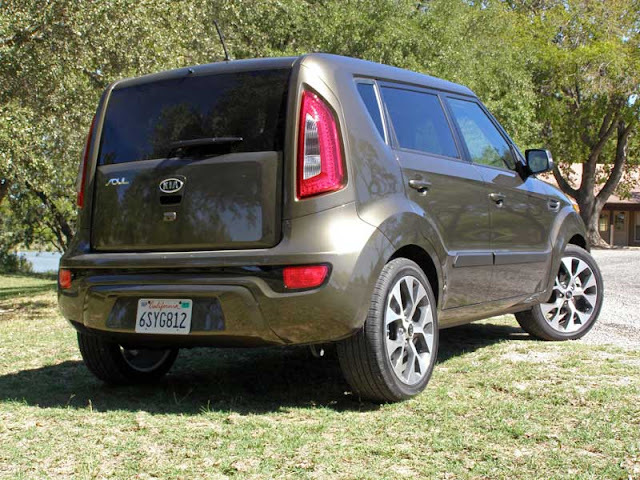 The second part of my trip to Austin, TX was to test drive the refreshed 2012 Kia Soul. Although the Soul was introduced in 2010, the ’12 model gets some updated goodies, as well as two new engines. The car I drove, the Soul! (exclaim), included a new six-speed automatic (with Active Eco System), the 2.0-liter DOHC CVVT four-cylinder engine, 18” alloys, and a whole ton of personality. The Soul is quite possibly the most funky-looking and engaging small car in the Kia line-up, so I knew I was in for a treat. Away we go! Even after two years on the market, the Soul’s exterior is still hard to pass over. From the juxtaposition of the body lines to the asymmetrical shapes of the windows—this auto claims it’s cult following by being anything but “vanilla”. Key features, such as projector headlights, front fog lights, front LED positioning lights and taillights, power sunroof, and privacy glass add to its already dynamic appearance. 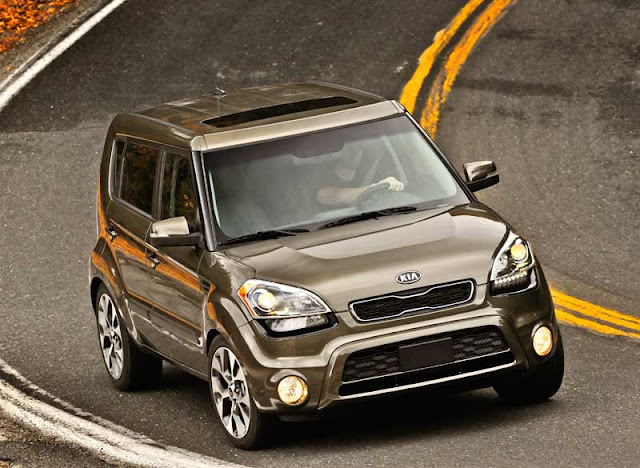 The only thing missing is having one of the Kia hamsters in the passenger seat as you drive. 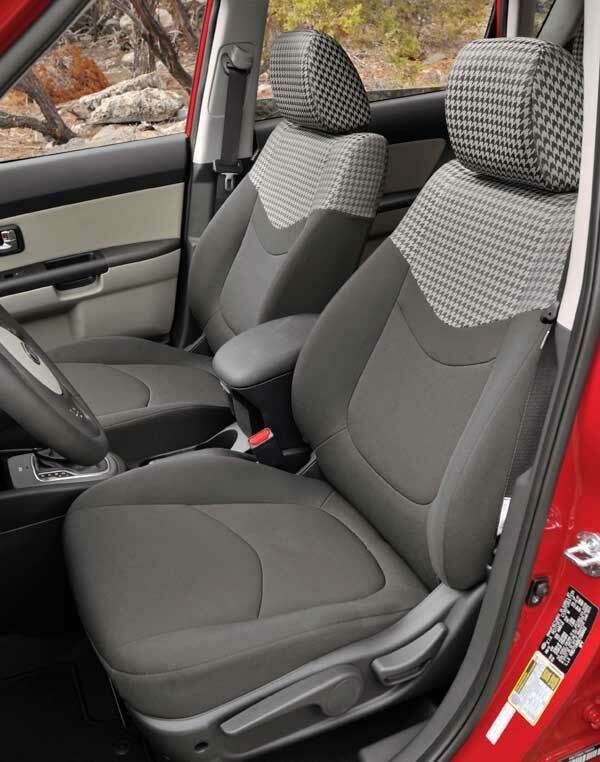 The Soul!’s interior has many attributes worth noting. Some of them are typical amenities that people of all ages are after, such as A/C, power windows and door locks, remote keyless entry, multi-adjustable front seats, cruise control, and steering-wheel-mounted controls. But my test model had ever-so-much-more to offer. Some of the items that give this vehicle the “totally rad factor” are a rockin’ Infinity stereo sound system (equipped with center speaker, subwoofer, external amplifier, and speaker lights), Bluetooth technology, USB and auxiliary input jacks, and Kia’s UVO in-vehicle infotainment system. And did I forget to mention the hound’s-tooth-accented cloth interior? Fun, fun, fun. Again, I just need the hamsters to ride along, and I’d be set. 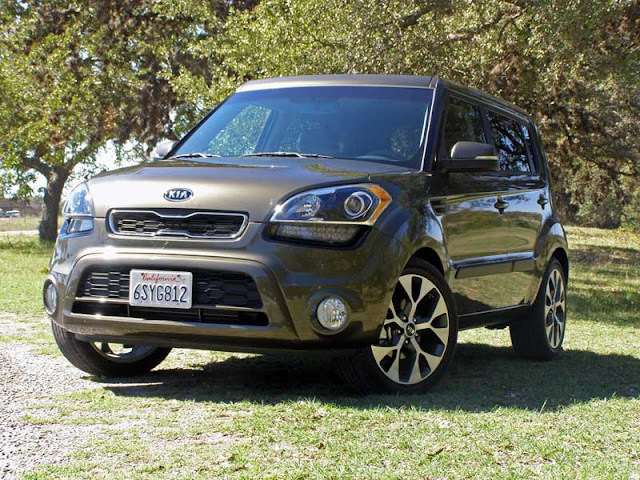 All that set aside, Kia has made sure to make this fun-mobile into a safe machine. With features like front and side-curtain airbags, front active headrests, ABS with brake assist, traction control, and stability control/stability management, one wouldn’t have to worry about the Soul not being up to excellent safety standards. In addition to the safety, Kia offers up its well-known 10 year/100,000 mile powertrain warranty (the bumper-to-bumper warranty is 5 year/60,000 with roadside assistance). Oh, and another cool feature worth mentioning: a hill-start assist control system. Whew! And you thought it only looked cool! A Soul! maxed out with all the techy options Kia has to offer—and coupled with the power sunroof, snazzy interior, and lighted bass-sensitive door speakers with amazingly good Infinity sound system—is pretty darn close to a mobile dance club! 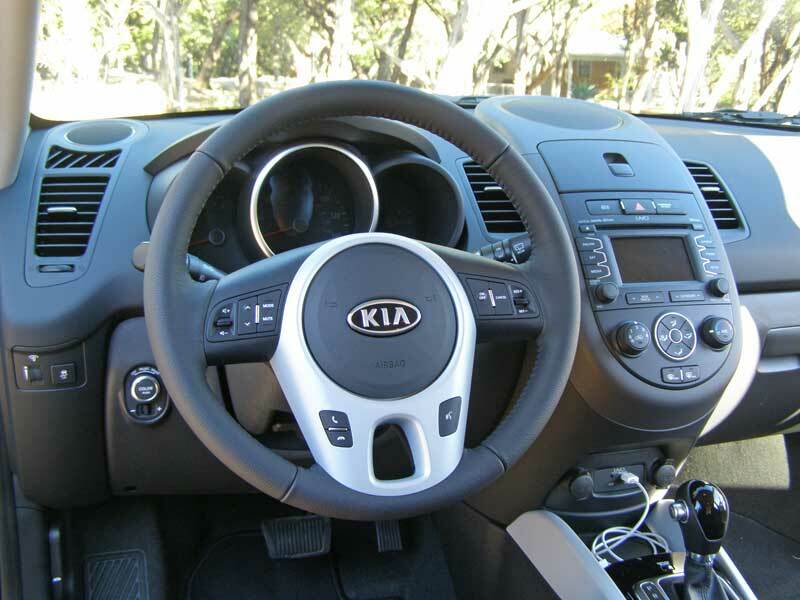 Like the Rio I drove, Kia has paid great attention to the car’s ergonomics. Everything is placed perfectly, all controls easily within reach, and are simple to use. I wish more manufacturers would pay as much attention to this. Now that you’re familiar with the Soul! model’s interior and exterior features, let’s take it for a spin. 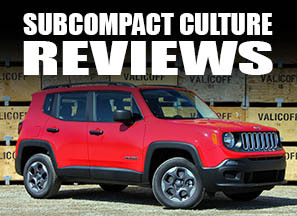 The snappy 2.0-liter, 164 horsepower engine takes off pretty quickly, and gets you up to speed in a peppy fashion. The top-of-the-line Soul’s “sole” transmission is a six-speed automatic, but the engine and transmission work well together, and there’s plenty of power on tap for passing. FYI, this Soul's fuel economy is rated at 26 city and 34 highway. The test model’s interior was solid with no rattles, but there was some slight wind/road noise when traveling upwards of 65 mph. 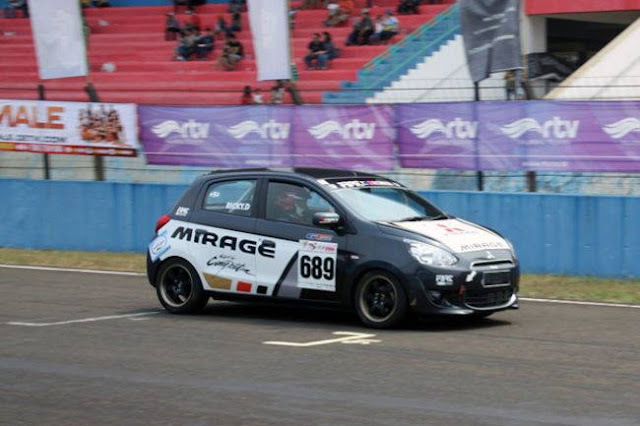 The suspension is a bit on the stiff side; cornering was adequate. There seemed to be a fair amount of body roll, but the chassis felt solid nonetheless. Overall, the Soul is good as both a city sprinter and highway cruiser, and it adapted well to all the bumps and bulges the road has to offer. The Soul’s front seats are a bit less supportive and bolstered than I would like; they could benefit from additional side support for spirited driving. But the appearance is nifty—solid color at the bottom and hound’s-tooth accenting at the top shoulder area (including the head rest). To sum up the Kia Soul!, I would have to use one adjective: fun. It looks fun, is fun to drive, and I can honestly say I wish I could’ve driven it for more time. Kia gets this one right. The appearance, drivability, and “take notice of me” personality makes this vehicle a flagship small car. Now I just need a hamster costume for Halloween and I’ll be set. Think it might finally dethrone the Fit? With all these small cars coming out, I've been waiting to hear someone say "Finally, another small car that's just as good as the Fit!" But I haven't really heard anyone say that. Most everyone agrees the other cars are nice, but overall the Fit is still better. I think that the Soul is quite a bit different than the Fit, not necessarily as refined, but a lot of fun and solid nonetheless. We were looking at purchasing a Fit a few years ago (vs. the Suzuki SX4 AWD) and decided to go with the SX4 because some of its features it had over the Fit, like the AWD system and its overall cost. The Fit is still a great car for its segment.